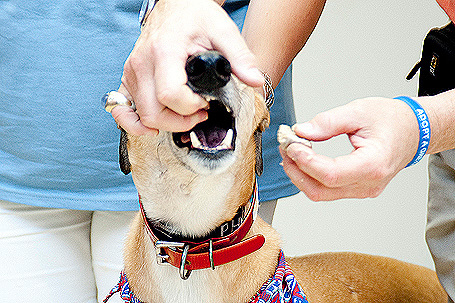 We believe that feeding your dog twice a day is the best for your greyhounds metabolism. 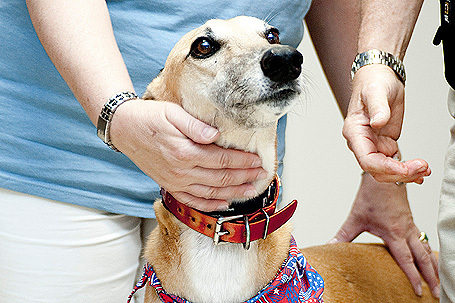 However, every greyhound will metabolize its food at a different rate. If it metabolizes too quickly and the stomach is empty, it will begin to build up acid or bile. Your dog's stomach may growl - and you may even hear it! It may eat grass, and usually that's why. Many years ago, I dubbed this condition 'Empty Stomach Syndrome'. Keeping your dog's eating in balance with it's metabolism will keep it happy and healthy. On occasion, people will tell us that their dogs missed a day's eating and I have to remind them how they feel when they miss a day's eating. Usually not too good. Your stomach will growl although you probably won't eat any grass! I have never tried it myself! It may be appropriate the feed some dogs late in the evening. This food can either be part of a normal food serving or three or four large milkbones. By doing that, you will keep food metabolizing in the dogs body and it will be more receptive to eat the following morning. The most common time for a dog to be out of sync is in the morning. Your dog might not want to eat its food. This is when you will hear the growly stomach and see the dog sniffing at grass and this is the appropriate time to intervene and get maybe ten tablespoons of food into your dog's stomach. 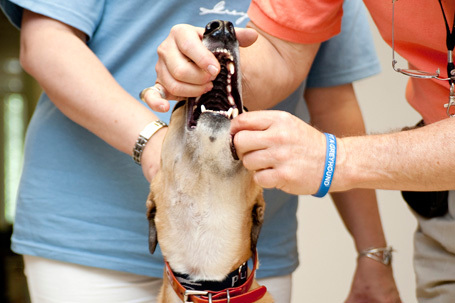 After your dog has been force fed it is more likely to want to eat its regular food. You may even have to do it a second time before you see any results. Step 1. 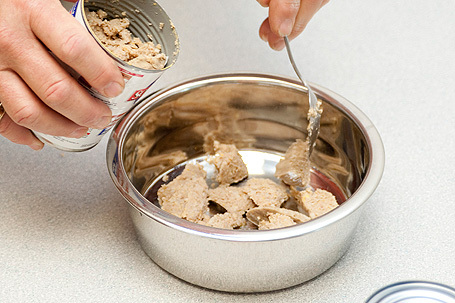 Prepare several manageable chunks of canned dog food. We like Hill’s Canine Maintenance. Step 2. Take a chunk of dog food in the index finger of your dominant hand. Step 3. Firmly hold the upper jaw and tilt the head back. Step 4. 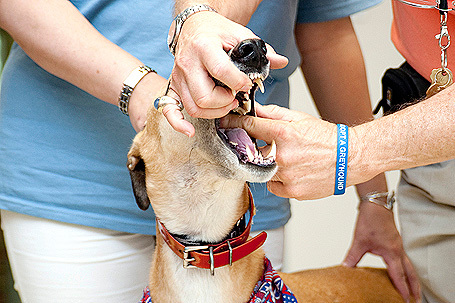 Open the mouth and use your index finger to push the food/pill, etc., all the way down the greyhound’s throat. Step 5. 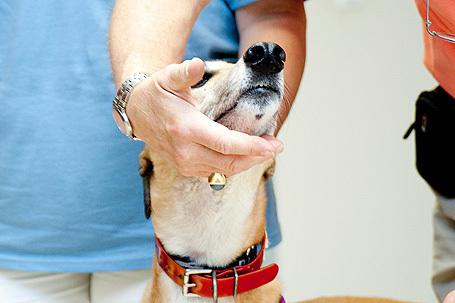 Use your free hand to rub the dogs neck until it swallows. Step 6. Wait a few minutes and then repeat if necessary. Thanks to Tyler for being such a good model!